You have found the the home of all the current information and news about the author, mentor, and speaker, Emily Filmore, and the things she is doing to keep busy and stay well. We think you will find her story to be inspiring and uplifting! April-May 2017: Neale Donald Walsch launches new CWG Connect website, Emily is a Contributor to the CWG Voices section with Neale's endorsement. Click Here: Intuitive Child - Nurturing the Inner Wisdom, Online TV Show. Emily was honored to be a guest on this FREE series about finding and listening to your inner voice and helping children do the same! Available on Amazon, Barnes and Noble and at all other booksellers. Read more here. Emily's newest book, co-authored with Neale Donald Walsch and Laurie Lankins Farley, is available now through Amazon and Barnes and Noble. Co-Authored with Neale Donald Walsch & Laurie Lankins Farley - a parenting book to awaken parents to the everyday life principles and practices of new thought parenting. Parents and children need and deserve to spend quality time together…Emily's Children's books will help! 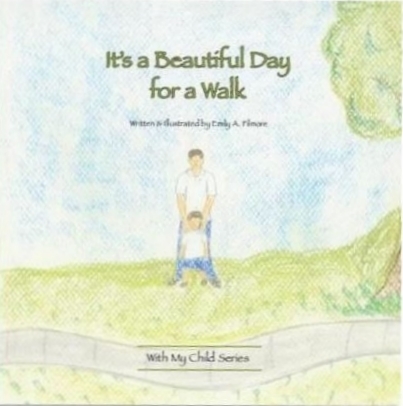 It's a Beautiful Day for Yoga and It's a Beautiful Day for a Walk, written to help you increase family bonding, are available here. Every day with your child can be a beautiful day! Smile So Big You Shine! Emily recently started the Kindness Smile Project. It is a free, worldwide, initiative to encourage people to treat each other with sincere, heartfelt kindness. The first exercise of the Project was Kindness Smile Day, March 18, 2016. Stay tuned for our next project! Learn about Emily's journey of health, wellness, spirituality, and more by clicking here. Find out about Emily's current projects and blog articles by clicking here. Contact Emily by clicking here. What people are saying about Emily.